In the recent years, a drastic rise has been noted in the number of people suffering from joint and bone disorders. These days joints and bones pain like back pain, tenderness, or achiness in bones has become very common, particularly among those who are middle aged or older. As your body ages, it undergoes many changes. The bone density and strength decreases as you become less active, and you become prone to joint and bone ailments which may disrupt the way of living. Joint pains : pain and tenderness in the body joints, particularly knees and shoulders. Arthritis : causes stiffness and painful inflammation in the joints. Also restricts the movements. Osteoarthritis : causes great pain and stiffness in hip, knees, and thumb joints particularly. Also causes degeneration of joint cartilage and underlying bones. Osteoporosis : a progressive bone disease that causes loss of tissues which leads to brittle and fragile bones. Back pain : pain in the back bones that develops muscles, bones, joints or other structures in spine. There may be multiple reasons but what matters the most is it becomes a frustration to live in constant pain and suffering. It has been stated in various researches that the vitamins and minerals we get from daily food, are not sufficient enough to maintain good bone health. Additional supplements for multivitamins, calcium, phosphorus and magnesium are necessary other than the regular meals. To ensure that your musculoskeletal system is healthy, a daily intake of certain vitamins and minerals is advised by the nutritionists which is essential for healthy joints and bones. Calcium. A daily intake of calcium in your diet promotes strong bones alongwith reducing the risk of developing osteoporosis. It also minimizes the strain placed on the joints which, in turn, lessens the risk of injury and/or inflammation. Magnesium. The deficiency of magnesium may harm the bones and the hormonal balance in the body. It may also lead to the production of parathyroid hormone and may deprive the body of the much needed vitamin D. Magnesium supplements are, therefore, important to prevent joint pain and any dis-balance in skeletal structure. Vitamin D. This is very important for maintaining healthy bones and joints as it helps the body to absorb the calcium and reduce inflammation. Deficiency of vitamin D may lead to arthritis as it is an essential component in rebuilding of tissues and cartilage. Vitamin C. A much required vitamin, it is also a powerful antioxidant. It plays a vital role for the structural integrity of blood vessels, tissues, ligaments, tendons, joints and bones. Vitamin K. It is a fat soluble vitamin which plays key role in maintaining healthy joints and bones. It also converts the bone protein matrix ‘osteocalcin’ from its inactive to active state. The deficiency of this vitamin may cause abnormal cartilage and development of osteoarthritis. A most important amino sugar which repairs and regenerates the cartilage. It is also a key producer of synovial fluid. Synovial fluid is the natural occuring lubricant in joints which reduses the friction. It also acts as a shock absorber whenever our bones bounce together. It has been advised by doctors to take a daily dose of 6000 – 10000 mg glucosamine which will effectively suppress the pain and also help in healing the bones. From the latest studies, evidence has been shown that chondroitin helps in reducing the pain associated with osteoarthritis. Most often used in the effectve treatment of osteoarthritis of fingers, knees, hip joints, low back and facial joints, chondroitin is also known to benefit the people suffering from Kaschin-Beck disease (which causes painful stiffness in joints and bones). MSM (methyl-sulfonyl-methane) provides the two very crucial components to your body. Sulphur – the most efficient mineral for the health of joints, cartilage, skin, hair and nails. 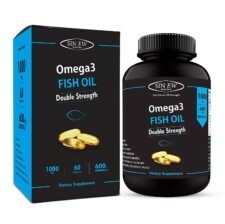 it improves cell vitality and regeneration. Extracts of Shallaki have been researched for its effects on osteoarthritis and joint function, particularly for the knee, where it has shown a notable improvement in joint pain and other functions compared to a placebo. There are a lot of favourable effects of Boswellia in some chronic inflammatory diseases like rheumatoid arthritis, bronchial asthma, osteoarthritis, ulcerative colitis and Crohn’s disease. Searching for the effective supplements for joint pain is not difficult but you should be well aware as per to their suitability. Intake of correct amount of supplements will not only heal the joint pain but also give you a chance to live a pain free life. 1. Using of ice in the pain area. 2. Taking a steam bath helps reduce joint pains. 3. Eating fresh fruits and healthy vegetables daily. 4.Consumption of ginger, garlic, spinach, and banana and of course milk and dairy products is some of the supplements that help improve calcium levels in the body. 5.Avoid unhealthy and junk food. Thanks to the latest innovations in the medical field, the varieties of protein and vitamin supplements are easily available in the market. You can buy these quality supplements from the leading health products website www.healthgenie.in with the promise of purity.